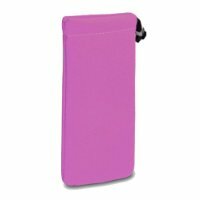 Title: Brand New Purple Soft Cloth Pouch Case Cover with Drawstring: for the Nokia 2700 / 2730 / 3720 Classic Mobile Phone. Part of the XYLO ACCESSORIES RANGE. Xylo Black Hybrid Armor Hard Shell / Skin / Case & Xylo ClearICE LCD Screen Protector (with Easy Application MicroFibre Cleaning Cloth) for the Nokia 5800 XpressMusic & Navigation Edition Mobile Phone. Xylo Executive USB Charge Dock Cradle/Pod For BlackBerry BOLD 9000 - Synchronise, Charge Handset & Spare Battery all at once! Clear Hybrid XYLO-GEL Skin / Case / Shell for the Samsung S5620 Monte Mobile Phone. Black Leather Pouch Case Xylo-Cover with Pull Up Cord: for the Samsung S8500 WAVE Mobile Phone. XYLO Accessory Bundle: White SuperTUFF Silicone Shell Skin Case, Xylo ClearICE LCD Screen Protector and In Car Charger for the Nokia N97 Touch Screen Mobile Phone. Black Diamond Hybrid XYLO-GEL Skin / Case / Shell for the Nokia E71 Mobile Phone. Xylo ClearICE Anti Scratch LCD Screen Cover Film Protectors for the SAMSUNG S7070 DIVA Mobile Phone. With Free MicroFibre Cleaning Cloth for Easy Application. Xylo Black Hybrid Armor Hard Shell / Skin / Case & Xylo ClearICE LCD Screen Protector (with FREE MicroFibre Cleaning Cloth) for the BlackBerry 9520 STORM2 Mobile Phone. Brand New Purple Leather Flip Case Cover for the Samsung S5230 Tocco Lite Mobile Phone. Part of the XYLO ACCESSORIES RANGE. Xylo Black Soft Silicone Shell / Skin / Case & Xylo ClearICE LCD Screen Protector (with FREE MicroFibre Cleaning Cloth) for the Nokia N900 Mobile Phone. Brand New Black Leather Pouch Case Cover with Pull Up Cord: for the Samsung S5560 Marvel Mobile Phone. Part of the XYLO ACCESSORIES RANGE. 2 x Xylo ClearICE Anti Scratch LCD Screen Cover Film Protectors for the HTC LEGEND Mobile Phone. With Free MicroFibre Cleaning Cloth for Easy Application. XYLO Accessory Bundle: Black SuperTUFF Silicone Shell Skin Case, Xylo ClearICE LCD Screen Protector and In Car Charger for the Nokia N86 8MP Touch Screen Mobile Phone. Xylo Yellow Soft Silicone Shell / Skin / Case for the Nokia N97 Mini Mobile Phone. Hard & Clear Crystal Skin Case for the Nokia 6700 / 6700i Classic (TWIN PACK!). Part of the XYLO ACCESSORIES RANGE. Xylo Black Hybrid Armor Hard Shell / Skin / Case for the Nokia N900 Mobile Phone. Black Leather Pouch Case Xylo-Cover with Pull Up Cord: for the Nokia E63 / E71 / E72 Mobile Phone.